In my clinical practice, I see many clients suffering with varying degrees of hips, back and knee issues. They are often in pain and have had investigations which highlight there are no structural abnormalities. As a result of no significant findings, they are puzzled and unsure what to do next. In today’s blog we are going to look at why pain and discomfort can occur in these areas and learn how we can remedy the issue. Many clients arrive in my clinic in pain and will often say “I have tried everything!” When I start taking a medical history, I am told all the medical expressions and descriptions diagnosed to the client. These labels create a fear within them and as a result they become scared to move and exercise, fearing that their ‘label’ will create further issues. This creates an unhealthy mindset with limiting beliefs and a dependency on the client to be ‘fixed’ by the practitioner. However when a client arrives in my clinic or within a skype consultation the client-practitioner relationship shifts. Education as well as clinical skills are used. Home care somatic movements are prescribed to help the client start moving and releasing long held muscular tension which has accumulated due to poor posture, unhealthy habits, sedentary lifestyle and lack of education about their musculoskeletal health. In order to make lasting changes, we need to retrain the brain to increase its awareness to how a person moves, feels and operates. When we do this regularly, the brain is amazingly smart, it will adjust and use newly formed pathways within the brain to allow for freer movement and coordination, helping to reduce pain, improve posture, increase mobility and allow you to return to the activities you love to do. In order to reap these benefits, I will explain to you, like I do to my clients in clinic and within my online program at www.TotalSomatics.com how we can change our daily habits for healthy ones and start creating change from the inside out. Like anything, we can see a person’s rituals and habits from the outside. Take for example a person with rippling muscles, they obviously have a very regular health regime which involves weight training and a high protein diet. With other people, with a careful eye, one can often see a posture or gait and realise there is a story behind it. Maybe the person has a limp when they walk due to a previous injury or their posture may exhibit a twist or rotation, possibly scoliosis. With this situation, as a practitioner, it is highlighting to me how the central nervous system is holding certain muscle groups chronically contracted and as a result, the person is unable to rectify the issue….until they learn about somatic education and somatic movement! Below is a common posture and many with this posture are often told they have one leg longer than the other. This issue can create back, hip and knee issues, just to name a few. They are manipulated and often find that the issues surfaces again quite quickly. Let me explain why this is the case and what we can actually do to get to the ROOT CAUSE. This posture is known in somatics as the trauma reflex. It occurs as an involuntary response to accidents, injuries or the need to avoid further pain as a person compensates with their body weight due to injury. The reflex involves the muscles of the trunk rotators, which when contracted, hitch the hip up on one side and twists the spine slightly. Common habits which create this posture can include a busy parent or carer constantly carrying a child on one hip whilst getting on with their daily activities. The brain quite quickly recalibrates and notices the ‘new normal’ in the obliques (waist muscles). This 'new normal' highlights and adapts the level of tension in one waist muscle, making it tighter than the other. Also a person who has had surgery on one side, such as on their kidney or bowel, will find they develop a trauma reflex as they hold themselves cautiously during the healing stage. This habituated behaviour of holding and bracing themselves post operative creates lasting issues. Their muscles never fully release from the subconscious or subcortical muscle contraction which the brain produces. Another well known trigger for this reflex is seen with people who may be recovering from a broken leg or foot. For a while their foot is placed in a moon boot. To help the bones heal and ease weight on the injured foot, the brain is really smart. Subconsciously, the person begins transferring weight into the good leg, whilst the waist muscles on the injured side tighten to take load off that side. This compensatory action often creates an additional characteristic to the trauma reflex, a side bending with rotation in the pelvis, trunk, shoulder and head. This compensation may appear insignificant, however long term habitual postures such as this creates issues such as scoliosis. The large number of people suffering with scoliosis develop their change in curvature as a result of a habituated trauma reflex. To read more about scoliosis and somatics, CLICK HERE. This posture also creates the well known expression, ‘leg length discrepancy.’ The tightness and shortening comes from the obliques. When you learn somatic movements and techniques to release through the obliques (waist muscles), you’ll notice instantly the extra length a person gets! There was never any need to manipulate bones to gain even leg length, rather in many cases it is by releasing the subconscious muscle contractions along the side of the body. I often explain to my clients in clinic and online, the importance of learning to find neutral with these postures and particularly the trauma reflex. When we find neutral, we can reduce back, hip and knee issues, just to name a few. Imagine you are driving around with flat tyres on the right side of your car, both front and back. What happens? Over time the structure of your car is compromised. There is increased pressure through one side of your car, leading to long term structural issues. However when we return the car’s mechanics back to neutral, both sides are equal with weight transfer, the structure and mechanics of the car improves significantly. There’s a saying that everybody has a plan in the boxing ring, until they get punched in the face! Likewise in life, we can have great ambitions and aspirations for our future, however sometimes life has a funny way of knocking us off course. There are many things in life we cannot control, however there are areas we have control over and that is our mindset and well being. What we eat, drink, think, how we move, if we move often, how we behave, what we read, watch and listen to, what we talk about and how we interact with people and situations are all under our control. Total Somatics has taught people all around the world how we can regain control of their life with somatic movement, mindset, mindfulness and nutrition. This allows them to reset, recalibrate and recuperate, in what at times can be very stressful. My online program teaches you how important posture and movement are for our daily life. The way we use our mindset and develop mindfulness skills are all taught within the program. A daily practice helps to provide a physical and mental health break. The program allows you to question your limiting beliefs which have been formed from a variety of professional opinions and teach you how to move mindfully with gentle somatic movement. This gentle yet powerful practice suits all ages, fitness levels, health issues and lifestyles. By learning how to release chronically tight muscles from poor posture and unhealthy habits, you can live with reduce pain, improved posture, increased mobility which will allow you to return to the activities you love to do, no longer living in fear that you will ‘tweak’ your back. 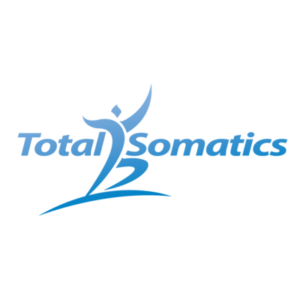 To get a taste of what my online program provides, CHECK OUT THE FREE TOTAL SOMATICS PROGRAM BY CLICKING HERE. 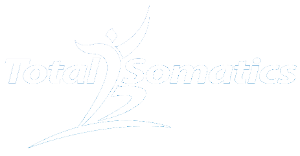 I look forward to teaching you how The Total Somatics Approach to Health & Wellness Online Program at www.TotalSomatics.com can help you with your aches, pains, stiffness, postural issues, poor mobility and emotional health. What is the difference between Stretching and Pandiculation? February 6, 2019 By Heidi Hadley Blog authoritarian mindset, educate, emotion, empower, facilitate, FREE TASTER COURSE, habituation, mindset, myth of ageing, neuroplasticity, PAIN, posture, recurring injuries, root cause, weak core Comments Off on Use Somatics to Reduce Pain, Improve Posture, Increase Mobility & Get to the ROOT CAUSE.